With the same bold, declarative style as the best-selling book Prayers That Rout Demons, this daily guide gives you inspiration, understanding and direction for actively confronting demonic strongholds. This edition features a padded hardcover binding and a ribbon bookmark. 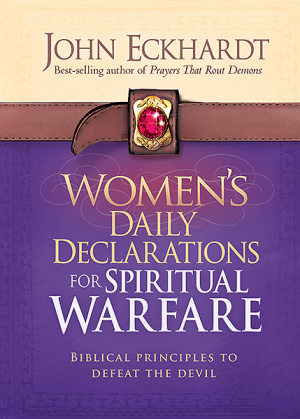 Women's Daily Declarations For Spiritual Warfare by John Eckhardt was published by Charisma House in April 2013 and is our 13207th best seller. The ISBN for Women's Daily Declarations For Spiritual Warfare is 9781621362999. 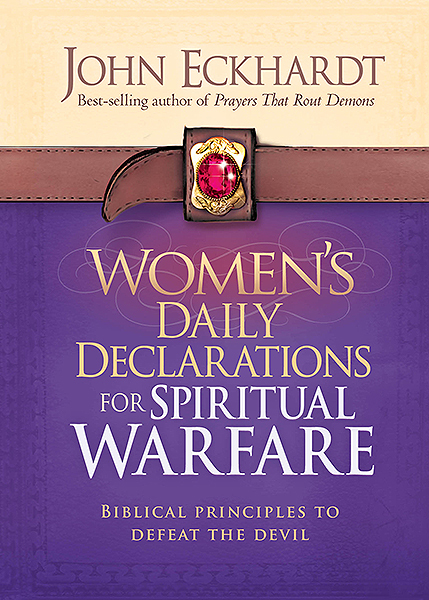 Be the first to review Women's Daily Declarations For Spiritual Warfare! Got a question? No problem! Just click here to ask us about Women's Daily Declarations For Spiritual Warfare.